Last month, the Government of India announced a list of awardees who bagged the Pradhan Mantri Rashtriya Bal Puraskar, and when Mohammed Suhail Chinya Salimpasha realised that he was one of the recipients of this prestigious honour, he was ecstatic. 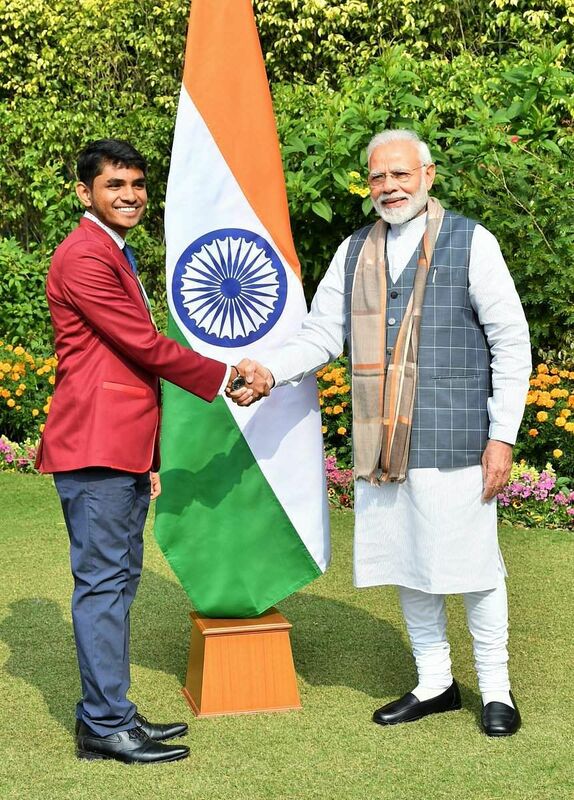 Overnight, the fame of this 17-year-old researcher from Srirangapatna in Mandya district reached new heights. He became the star of his town and the very state itself! Everyone calls him a scientist now, and why wouldn’t they? His invention itself is such that it can decide the role technology will play in the diagnosis of diseases. The young lad has come up with a method of diagnosing pre-symptomatic Protein-Energy Malnutrition (PEM), which is a form of malnutrition arising from lack of dietary protein. With what, you ask? Just a piece of paper, that’s all! And that too at a very low cost. Intrigued much? What led to this invention is another interesting story altogether. Turns out Suhail was inspired by another scientist to use paper as a tool. "It all started in July 2017, when I came across a video of Dr Manu Prakash. He is a scientist and professor of Bioengineering at Stanford University. He developed the world's first microscope made of paper that can detect malaria within three minutes. At the end of the video, I realised that the future of diagnostics can be paper or tools that are non-invasive, instead of using syringes to draw blood and the other complicated steps that we depend on now. This experiment inspired me to work with paper to diagnose pre-symptomatic PEM. I referred to various research papers to see how many children were dying due to malnutrition. While the number is in lakhs in India, millions are affected by it across the globe." During his research, Suhail came across a very strange fact, that every child does not have the same level of malnutrition in their body. The levels are different and the kind of diet that needs to be recommended varies from one child to other. "The Central Government in India and the World Health Organisation in developing countries, both are trying by implementing various strategies and schemes to tackle this issue separately. But the government recommends the same standard diet for all the children suffering from malnutrition. In a few cases like these, the child might not recover quickly. The diet needs to vary as per their protein level," he explains. Thus, Suhail came up with a method that could predict the level of protein in a child's blood. He says, "Till date, a blood test has been the only way to identify malnutrition. For a country like India, this method leads to financial and environmental burden, as the medical waste is not disposed of properly. But I use a paper to conduct these tests. A child's saliva sample is taken on the paper. If the colour of the paper changes, it is a sign of lack of proteins and nutrients. For this, I have developed a mobile app as well. One can scan this paper through the app. It shows the percentage of protein or the level of malnutrition. This was a very important part of my research as I identified this biomarker in saliva and correlated it to the level of protein in one's blood. The method costs Rs 2 and even the results just take two minutes. It is a breakthrough in terms of cost and results in zero biomedical waste." But did you know that this is not the first time that Suhail has invented something that will benefit society and the environment? When he was in class VII, he designed a tile measuring 40x40 cm. When fixed in public places like footpaths, it is capable of producing electricity when people walk over it. This electricity can be used to power street lights or other public utilities. He named it Let's Generate Electricity By Walking. The experiment went on to win over 50 awards. From then on, there has been no looking back for this youngster. In spite of winning so many awards and laurels, the fame has not gone to Suhail’s head. Instead, he continues to toil over new projects and his next one will be launching this year. "I am working on a project that will enable you to make online transactions without keying in the details of your debit or credit cards. The aim of this project is to safeguard pin numbers and card details and prevent One Time Password theft or card hacking by a third party. It's a work in progress and I plan to launch it soon." he concludes.